At one point in time, you wanted to share every image you posted to Instagram on Facebook, too. Now, you have 2nd ideas about that tie-- possibly Instagram posts must just reside on Instagram. How to disconnect Facebook from Instagram? No sweat. You can detach Instagram from Facebook, and it just takes some seconds. The easiest method is to go to the source: your Instagram app. Open up Instagram on iOS or Android, then tap the settings icon in the upper right of your profile. From there, scroll down to Settings, and tap Linked Accounts. There, you need to see that Facebook is highlighted blue with a checkmark beside it. 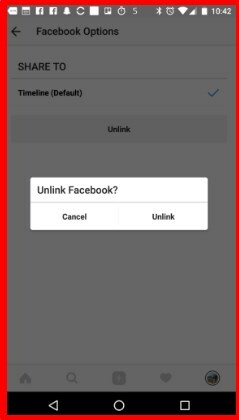 Tap it, then tap the "Unlink Facebook" button. To make your choice last, tap "Unlink" to verify you wish to detach the two apps. Now, you will not be able to post to Facebook from Instagram automatically. Keeping the two accounts unlinked is a good concept for security reasons. If somebody ever hacked your Instagram, for instance, any cut posts would just survive on Instagram (rather of being shared across both social networks feeds). For those unlinking the two apps for ideological factors, there is an essential caution you need to know. Facebook acquired Instagram back in 2012. So, if you think that by disassociating the two accounts, you're sticking it to Facebook ... You're not. Instagram moved its servers from AWS to Facebook's data centers in 2014. Deep down, Facebook still has your information-- and your pictures. In the future, if you decide you do wish to post your Instagrams on Facebook, you can quickly connect the two together once again. 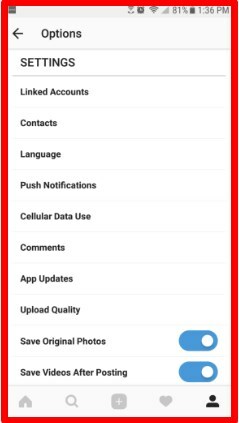 Only head to Linked Accounts in your app's settings again, and tap Facebook. The app will remember your Facebook credentials, and the two will be linked once again instantly.